The challenge of changing times and competition is just part of doing business and when it comes to the restaurant business it is even more daunting with narrow margins and a host of variables that can alter the market in the blink of an eye. In Tisdale two fast food outlets joined the market place as Subway opened its doors two years ago and A&W came on the scene only in November. 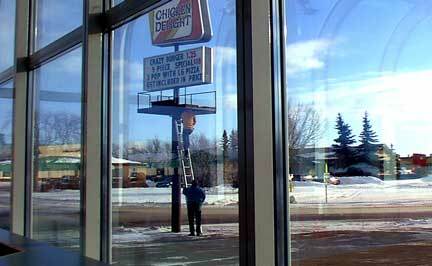 The established businesses had to take into account what they were doing and Chicken Delight felt immediate pressure from the new chain's outlet. All of Tisdale's restaurants have their steady and loyal customers but it is the visitors who make the difference and to maintain their share of this market Chicken Delight had a hamburger promotion which was an outstanding value but yesterday it was time to change the menu and move on. 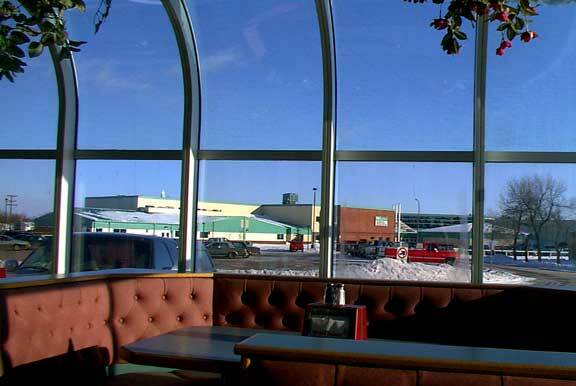 A new menu has been added to attract the supper folks with cutlets and plans to make the banquet room into an evening dining area totally smoke free. Mr. Will said yesterday that he feels they are doing okay with the new competition and their customers remain with them mainly because of the simple quality and variety on their menu. I certainly would vouch for that as I walked across town yesterday because the standard soup and sandwich lunch at Chicken Delight remains the best lunch in town.